The only other thing she had ever won was an award for best cursive in the fourth grade. Her pies never placed in the church bake off, but Luke had always gobbled them up. His favorite was rhubarb. Inside the house, Agnes smiled at the Christmas decorations spilling from the table onto the living room floor, the photos of Gary in his Navy uniform and Luke as a boy in his cowboy hat. She stood and gazed at the portrait of Luke after he’d gotten out of the Army, painted by a friend. Something in his look always stopped Agnes short. 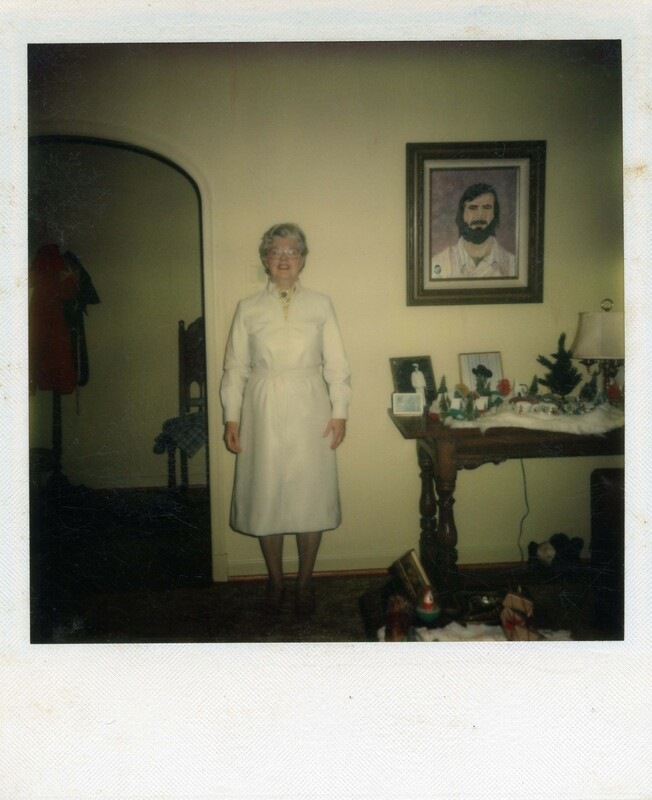 It only took a few minutes to show Helen how to load the Polaroid, and she seemed pleased, so Agnes offered to take her picture.